Present for Christmas? Give health! It’s high time you looked for Christmas presents for your beloved ones! No idea what to buy? What about giving health? 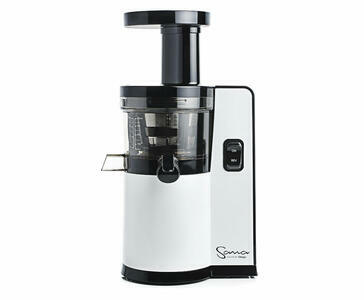 …we recommend another single auger juicer – universal Sana Juicer EUJ-808. We can feel free to call it home juice bar. It’s equipped with juice flap, which enables to mix more ingredients before releasing juice into glass. This machine can also process yoghurt, milk and ice cream without any problems. It’s a handy feature! In case your beloved ones don’t want to have juice at the moment, you can offer delicacies such as ice cream cocktail or almond milk, which are very easy to prepare. EUJ-808 is suitable for households, where every inch of room counts – thanks to vertical orientation you save a lot of space. 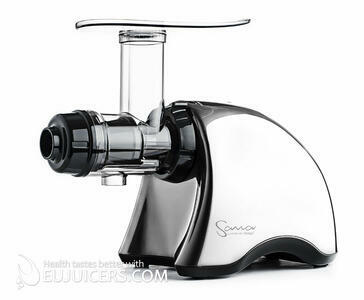 …this all is no problem for single auger juicer Sana Juicer EUJ-707, which is a great present for both juicing fans and households with children. Is your daughter or sister expecting a baby? This machine will be soon appreciated. It’s possible to prepare plenty of complementary food for babies such as different mashes and purees. Juicing also saves money in family budget – snacks for babies are getting more and more expensive! When children grow up, it’s much easier to give them tasty juice than to force them to eat the whole pieces of fruits and vegetables in order to take care of their vitamin intake. Adults will be delighted as well! Drinking fresh juices brings a lot of energy, which everybody appreciates. Moreover you can prepare delicacies such as peanut butter or refreshing sorbet to show off a little. Juicing is an ideal way how to replenish vitamins and minerals in a natural way. Therefore you can easily improve your or somebody else’s health. In case you’re finding universal present, juicer is the right solution. Think about giving health, which always starts with intake of vitamins and minerals.Try to prepare tasty fresh drink! Everybody will love it. EUJUICERS.COM provides just the top quality juicers, which went though a series of tests before listing to the offer. You can be sure that our products are made of durable materials, that’s why we grand long warranty. Moreover you get the best possible customer care in form of consulting, user’s guides and great availability of spare parts and accessories. We’ve chosen 2 juicers from our offer, which will surely meet expectations of your relatives and friends thanks to their versatility. If you’re still not sure which juicer to choose, go through our guide to choosing a juicer or feel free to contact us! Moreover, we have a special Christmas offer for you! 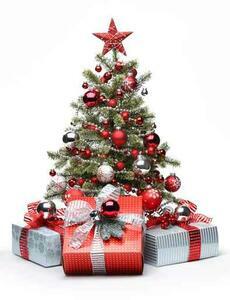 In case our goods are not exactly what you or your relatives expected, there is an extended trial period until 9. 1. 2015. During that time we can change your goods or you get reimbursed without any questions.